For further information please contact Olwen directly. For further information please contact Martina directly. For further information please contact Skirmante directly. 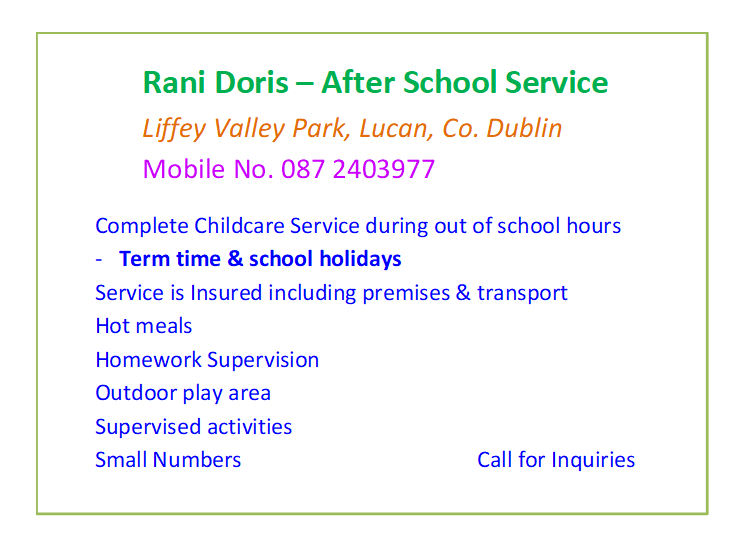 Rani Doris – After School Service. 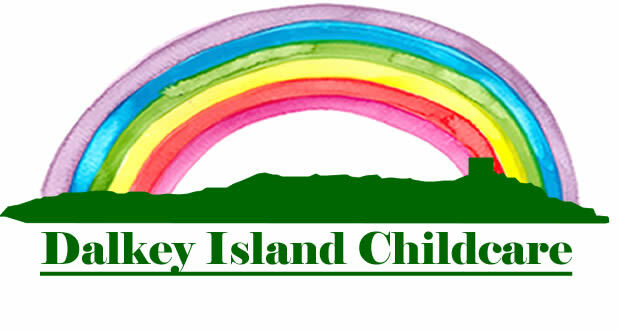 Complete Childcare Service during out of school hours. Term time & school holidays. Service is Insured including premises & transport. Hot meals. Homework Supervision. Outdoor play area. Supervised activities. Small Numbers. Call for Inquiries. For further information please contact Heidi directly. For further information please contact Leigh Ann directly. For further information please contact Aleksandra directly. For further information please contact Monika directly. For further information please contact Claire directly. Qualified, experienced, childminder. Available to mind 1-2 children in my own home in Lucan. First Aid course completed. 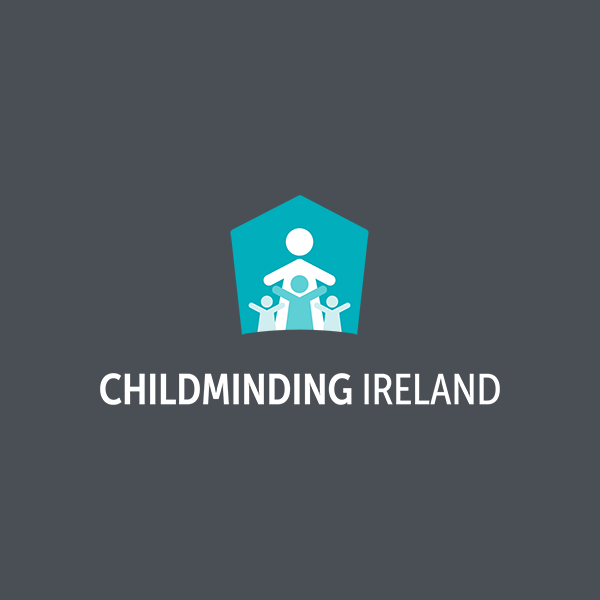 Member of Childminding Ireland. Fully insured. If interested, please call Carole. For further information please contact Betty directly. Near the N7 and Tusla registered with own transport. For further information please contact Louise directly.